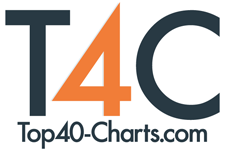 New York, NY (Top40 Charts) Produced by Squire's friend and frequent collaborator, and current bassist in YES, Billy Sherwood with amazing contributions from Todd Rundgren, Steve Porcaro (Toto), Annie Haslam (Renaissance), John Wesley (Porcupine Tree), Sonja Kristina (Curved Air), Patrick Moraz (Yes/The Moody Blues), Steve Stevens, Dweezil Zappa, and more! Includes 2 bonus tracks: one from the prog supergroup The Prog Collective, and one from the massively popular Pink Floyd tribute album Back Against The Wall! Available on both CD and vinyl!